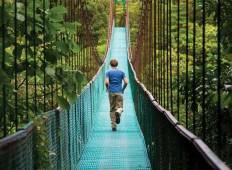 Find a Hiking & Trekking trip that explores Tortuguero National Park. There are 8 tours to choose from, that range in length from 3 days up to 15 days. You will visit outstanding places like Tortuguero National Park and San Jose! "Easily the best family holiday we've ever had!! 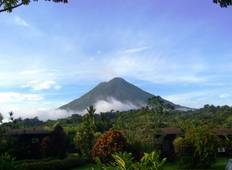 Costa Rica is wonderful, but what..."
"This trip was fantastic, it was a great mix of deep jungle (Tortuguero), a volcano..."
"Costa rica was so amazing! All the guides were friendly and very knowledgeable, the..."
"The tour was easy to organize and we enjoyed every part of it. We had Kevin and Pedro..."